Memorial services for LeRoy Meyer of Morris, MN will be Monday, March 26, 2018 at 2:00 p.m. at St. Paul’s Evangelical Lutheran Church in Morris, with Reverend Donald Main officiating. Visitation will be Sunday from 4 to 7 p.m. at the Pedersen Funeral Home in Morris and for one hour prior to services at the church on Monday. Burial will be in Summit Cemetery in Morris. LeRoy John Meyer, son of Roy and Bertha (Wolf) Meyer, was born June 19, 1942 in Fulda, Minnesota, where he was baptized, confirmed and began his schooling. When LeRoy was in the 10th grade, his family moved by Nora near Kensington, MN, where he continued his education at Kensington High School. Following his schooling, LeRoy began laying underground telephone wire and worked at the feed mill in Lowry. He then started his career at the Starbuck Fertilizer Plant, now known as CHS, for the next 48 years. Even though he didn’t have a college education, his hard work and dedication built a great legacy for him and his family. LeRoy met Sonia Meyer of Hancock at the Lakeside Ballroom in Glenwood. The couple began dating and were married on July 3, 1966 at St. Paul’s Evangelical Lutheran Church in Morris. They made their home in Cyrus and near Hancock before settling at their present residence north of Morris. They were blessed with one daughter, Dawn. LeRoy was a master of all trades, even after retirement he continued to be an “electrician”, “plumber” and overall Mr. Fix it. LeRoy even continued to help out at CHS until last spring. 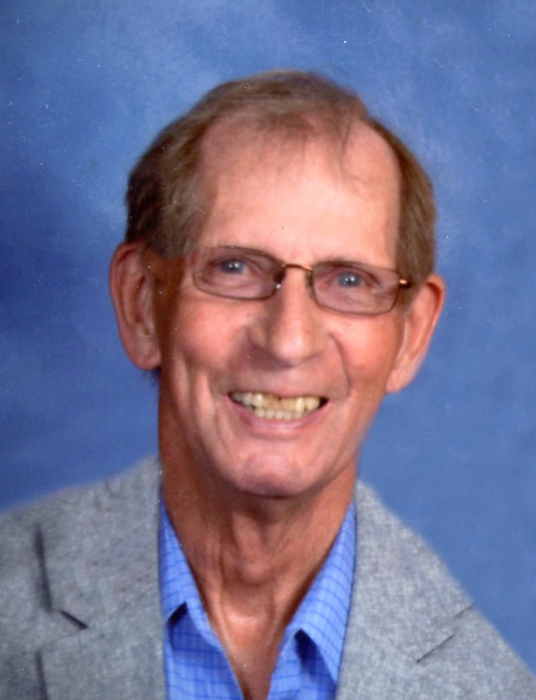 LeRoy was an active member of St. Paul’s Evangelical Lutheran Church in Morris, serving just recently as the church president. He enjoyed gardening – flower and vegetables, collecting tractors and guns, deer hunting, working with wood and polishing rocks. He also created Diamond Willow canes that he often gave as gifts. Most importantly, LeRoy cherished the time he was able to spend with his family, especially his grandchildren: Ivy Rose and Levi. LeRoy died on Wednesday, March 21, 2018 at the Courage Cottage in Morris, MN. He lived to 75 years. He is survived by his wife: Sonia Meyer of Morris; one daughter: Dawn (Shawn) Kosbab of Morris; two grandchildren: Ivy Rose and Levi Kosbab of Morris; one sister: Bonnie (Max) Hovey of DeWitt, IA; special friends that were “family”: Pastor Steve and Kathy Schlicht and family of Black Creek, WI and Dr. Fred and Amanda Altamirano and their children: Brianna, Celine and Lola of Morris. LeRoy is preceded in death by his parents and two brothers: Floyd Jones and Douglas Meyer. LeRoy’s family and friends will dearly miss him. What an honor and privilege it has been to have him in our lives. He is known by many as being a “Good Man” and was always there when you needed him. He will be missed by many people. LeRoy’s words to live by: If Fleet Farm doesn’t have it, you don’t need it and Duct Tape is a man’s best friend.